This is a long form article with detailed personal experiences. For a quick overview of what to expect on a trip to Astola Island, please click here. I first heard of Astola in early 2015 when a friend who operates tours in Pakistan was mentioning that they were looking into new and unique places to operate tours to. I had never even heard of the word “Astola” before, to me it sounded like some Turkish beach – definitely not some place in Pakistan. 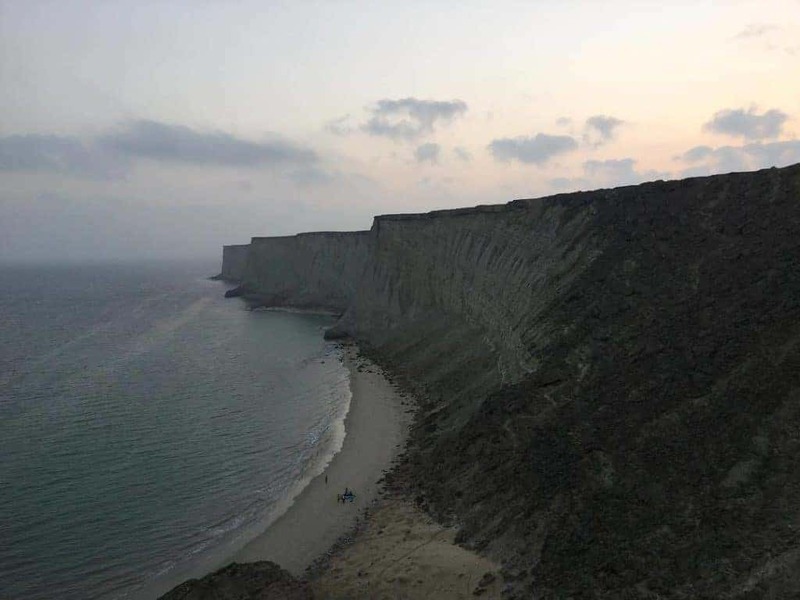 After a bit of research, I discovered it was situated off the coast of Pasni, a small town in the Gawadar district of Balochistan. The island is not very mainstream and isn’t widely known except to the locals in the area, it’s totally uninhabited and frequented only by fishermen who park their boats near it’s shore to catch their livelihood; As a result there are hardly any commercial excursions which go there; except those done by documentary filmmakers or marine biologists. 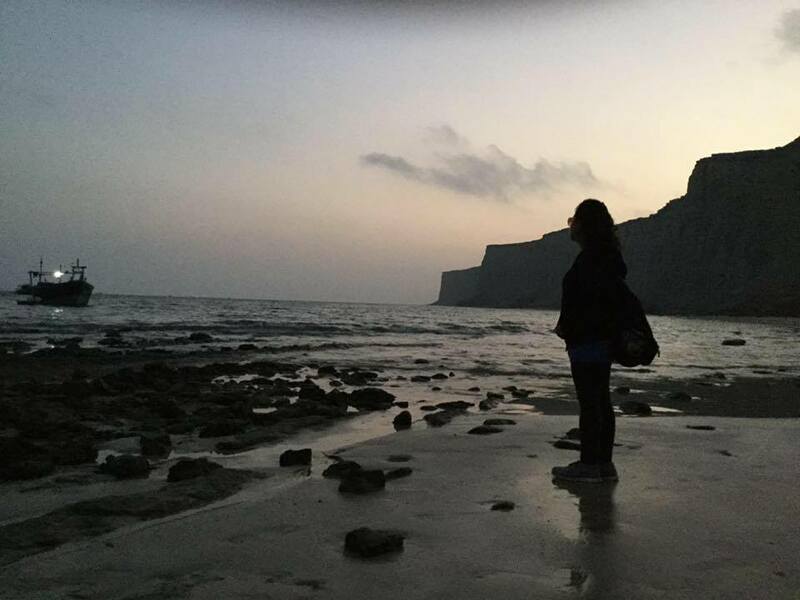 I had been waiting for months for a chance to go, excursions normally go in winter because otherwise the harsh Balochistan sun can become unbearable and not to mention dangerous with temperatures soaring as high as 45 degrees Celsius. I finally got a chance to go along with my good friends from Royals Advernture Club. The plan was set in late October which seemed a pleasant enough time to go, ( I would have personally preferred later in the year when it would be colder but since trips to Astola are few and far between,I jumped at the opportunity). 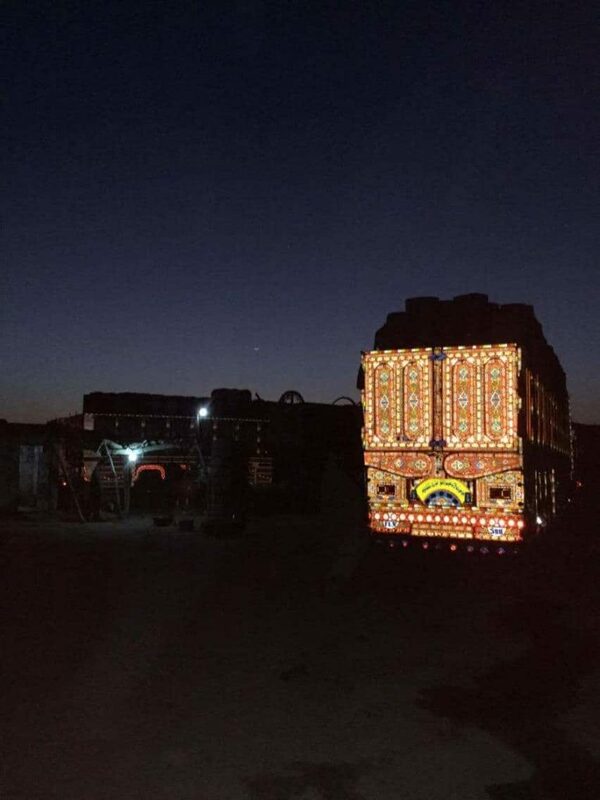 We left Karachi at around 12:30 am and set off towards Hub – which is a major city in Balochistan. 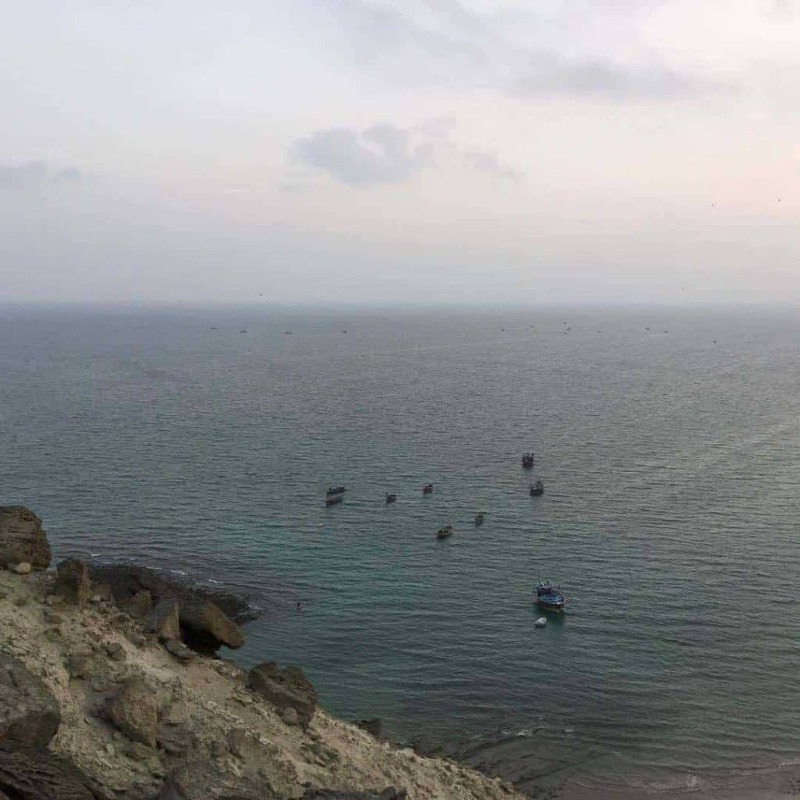 After making a pitstop at a small dhaba mainly used by truckers, we set off deeper into the province, passing through Omara beach, areas of Hingol National Park ( see my post on that here!) 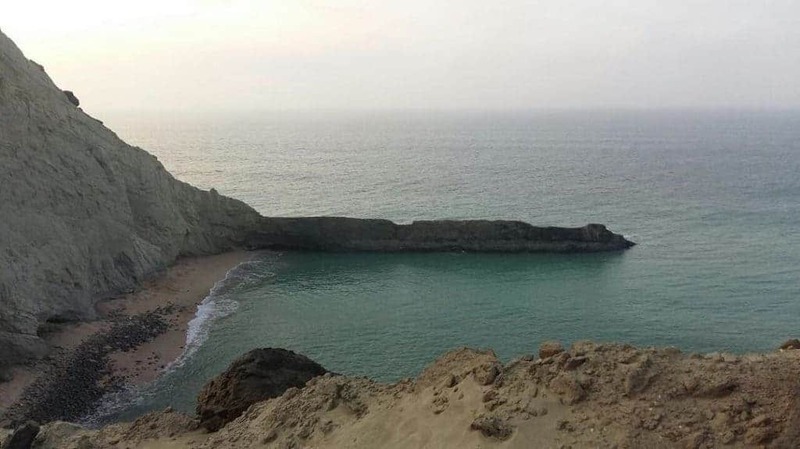 & Kund Malir beach. The drive through the barren majestic mountains is never boring no matter how many times one experiences it – if you get a chance do take a front seat in your vehicle and take a video recording of the ride – it’s really a treat to watch at anytime, and of course makes for some great memories. I would like to take a moment to mention Omara (beach) once again here. 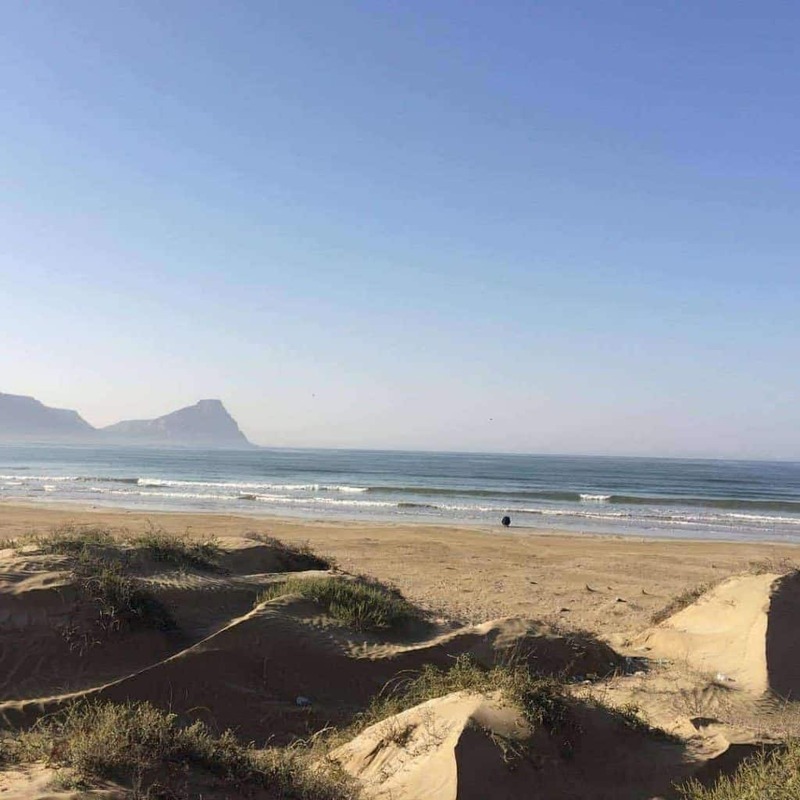 It is a beautiful sandy beach with mountains in the horizon – and highly underrated as I think few would have heard of it and most people visit Kund Malir instead. I would definitely want to stay here for longer. We finally arrived at Pasni at around 11 am. Pasni is a typical small fishing village. People earn their livelihood from fishing and building nets.It was hot,humid and terribly dusty, but I was very pleasantly surprised to see that my 4G was working great. It was 8 pm before we FINALLY managed to get settled into the boat and a move on. 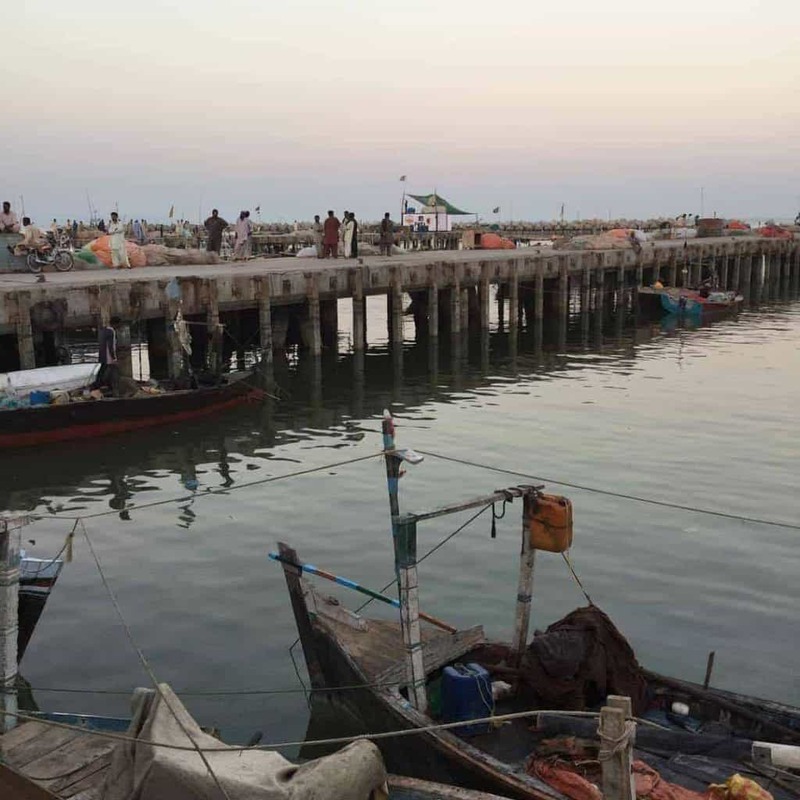 By now I was quite apprehensive about traveling by sea at night, considering I am not the biggest fan of sea travel anyway, but the navy had given us a go ahead that tide was still and weather was pleasant so we all piled onto a big fishing boat and off we went. It was one of the most mesmerizing, magical experiences I have ever had while traveling by sea. I totally forgot about my earlier apprehension and was just relaxing on the boat. It was not long before I had wrapped a comfy shawl around myself and had fallen into relaxing nap while resting my head on my bagpack. I awoke to the sounds of the fisherman talking loudly, sat up and looked around to see they seemed to preparing to dock, ropes were being pulled up and an anchor was out and ready. Approximately 3 hours and 20 minutes had passed since we had left the port, and in the distance I could see the outline of a landmass surrounded by colorful lights of fishermans boats surrounding the island- Astola was here! We had to use a tiny dinghy to transport our items to the island, some of us jumped into the water (about 5 feet in depth) and waded across, the rest (including me) rode a wobbly little wooden boat for about 2 minutes till the sandy shore. As beautiful as the boat ride was, it felt good to back on solid ground. We settled into the place, set up camp and in some cases, simply lay out sleeping bags on the ground itself to relax. Now since the island is totally uninhabited, there are no lights, no rest house… and no bathoom. We had no lights apart from what we got from the boats on the shore, the small fire which we built to cook food and torches which we brought along . We had to use torches to find our way and go behind large rocks to use the “washroom” I would suggest that you should go at night while it’s still dark because during the daytime the island is visible from all sides from those who might be climbing the hills and it’s impossible to go without being seen! 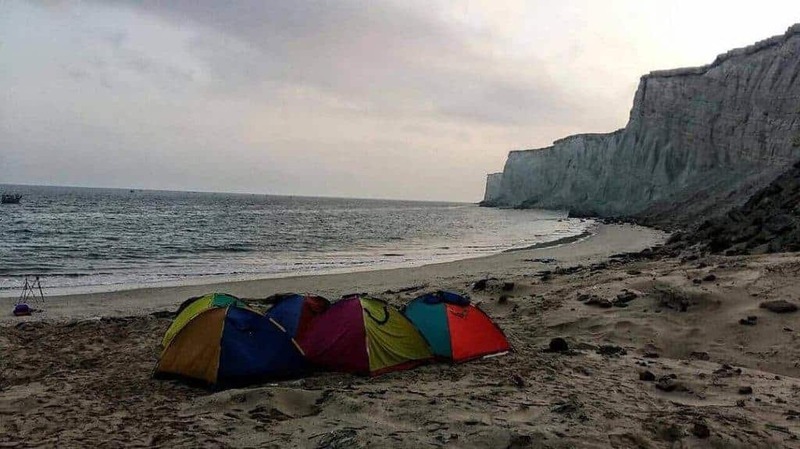 I checked the time after settling in, it was about 1 am and I was terribly exhausted, I decided to lay down for a bit on a spare sleeping bag and before I knew it I had dozed off right there on the beach, under the sky. I awoke to voices above my head and saw that a lot of people had settled down as well nearby setting up camp and others setting up camera tripods on the beach. I checked the time and now it was 2 am – I had been asleep for a good hour and I felt a lot better. I decided to walk back and forth down the beach. There isn’t much to see because it’s so dark, but it’s a pleasant enough walk. Make sure you are wearing shoes or rubber flip flops at least as there are sharp shells on the beach, and the occasional crab – neither of which you want to step on. If you are into photography this is the best time for long exposure shots to capture the night sky. I spent the rest of my time watching the photography enthusiasts and even helping them take photos. 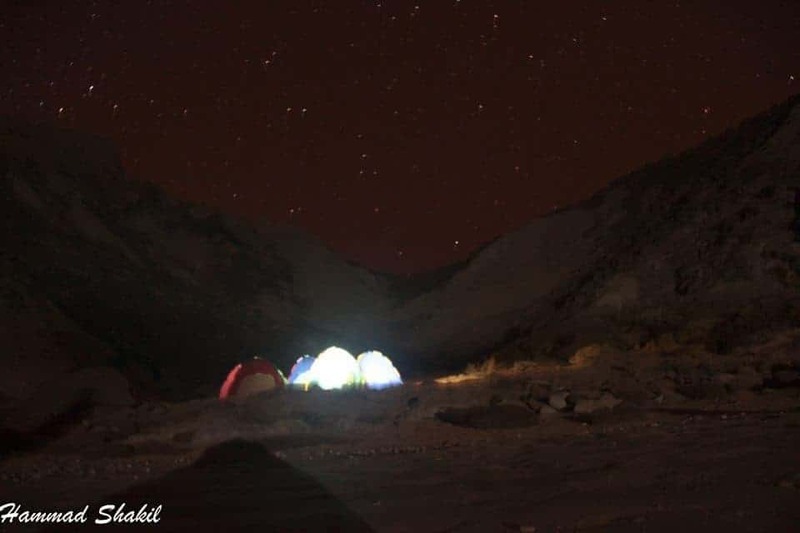 If you see the picture below one of the people sitting inside the tents with a light is me! It was quite nice and warm instead the small tent and since there was nothing there except luggage,I sat there listening listening to the calming woosh of the waves back and forth on the shore. Now everyone knows what the sea sounds like,but this was almost hypnotic – I don’t even know when I closed my eyes and it wasn’t long before I dozed off yet again. I woke with a start about 45 mins later to check the time – it was 4:45 am and day break was close. Feeling thankful that I hadn’t’ overslept I got outside the tent to check out what was happening at the beach. Walking pasts one sleeping bag or the other, I saw that 90% of our group had fallen fast asleep, some back at the tents and some right there on the beach itself – it eerily silent and dark as most of the people had switched off their torches, I was the only one awake and walking around in the area when I saw a fire burning in the distance, about 50 feet away. Nearing it, I saw 3-4 of our group members who were still awake and fresh biryani being cooked by our cook in a huge daig ( steeel pot) right there on the beach! With a portable gas stove and everything! It smelt and looked divine – it was probably also due to the fact that none of us had really eaten for the past 12 or so hours, but the biryani was pretty good in its own right too. We finally ate at 5:15 am and got done just in time for sunrise. After food I climbed on a nearby rock structure about 6 feet high and waited for the sun to rise. Considering it was very close to sunrise I decided against climbing any of the hills till the sun was up because 1) I didn’t want to miss to sunrise while hiking up 2) You realistically need a good amount of light to climb up the rocky hills without tripping on something or missing a step. I had been eagerly waiting for this moment, till now we had only seen the island in the darkness and was very curious to know what it looked like in the daytime. As the suns rays slowly began to filter through the sky, the magical Astola began to reveal itself. It was absolutely the most surreal view I have ever seen. The colour of the sky, the sea, the ship in the distance, the cliffs..I felt like I was looking at something not quite real, or at least something out of a painting. After 10 minutes of sitting there absolutely mesmerized, I began to walk up the rocky hills with 2 of my group mates. The rocky hills are basically a huge pile of boulders and rocks which have become a mountain. They are not as intimidating as they look, the climb up is fairly easy, but one has to be careful of their footing as they climb so as to step on a loose rock (which could make you lose balance). Do make sure not to carry anything more than what you need i.e a small bottle of water and a camera – else it will just be a pain to carry around. It’s about 10 minutes climb till the top where you are treated to Astola in all it’s glory. Beautiful blue-green water and a different view to enjoy from each side. The feeling one gets on the to of the hill is nothing short of exhilarating, all you can see the vast and endless ocean for miles – it’s intimidating and humbling at the same time. Once you reach here do take nothing less than 15-20 minutes to just sit and take in the view – it takes about that long to fully enjoy and absorb the magnitude of what you are looking at. Not exactly sure what the rest of the island looks like visually, but below is a useful map of the island. The rest of one pictures can be found on the internet with a bit of effort. The island has multiple facets; there is a sandy beach, a rocky beach, apparently yet-to-be-explored caves, and a couple of beautiful mini beaches. It depends on what side of the island one docks their boat on but I assume the rocky beach is the most commonly used. There are also turtle nests near the rocky side of the beach where you can see baby turtles as well as fully grown ones. It’s sad that sometimes these turtles get caught in fishermens nets which have been left behind. Some people in our tour group actually managed to rescue some baby turtles caught in nets and set them free. Astola also is known for it’s beautiful coral reefs and has been frequented by marine biologists in the past – there is also scope for scuba diving here however one needs to make sure they go with professionals who have done this before. It was about 9:30 am when we decided to pack up and leave for mainland. By now the sun was getting warmer and harsher and it would not have been easy to stand atop of the hills and see the view. Packing up tents and sleeping bags we got back into the boat and began the journey back. It was nowhere as pleasant as the one during the nighttime as it was really hot and humid, the boat was slightly swaying due to the tide and even though the views were gorgeous,with seagulls, and fish – it was hard to be able to photograph them easily or even enjoy the view due to the heat. If you can, I would suggest that you arrange for the boat to be covered with a shade or else keep a large umbrella with you to avoid any chances of heat stroke. 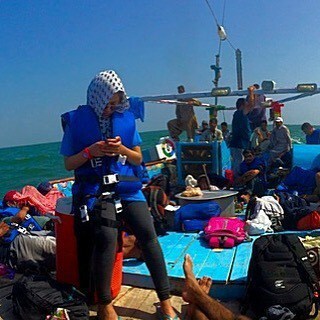 Here I am sitting in the middle of the boat with my head covered looking a little crazy. 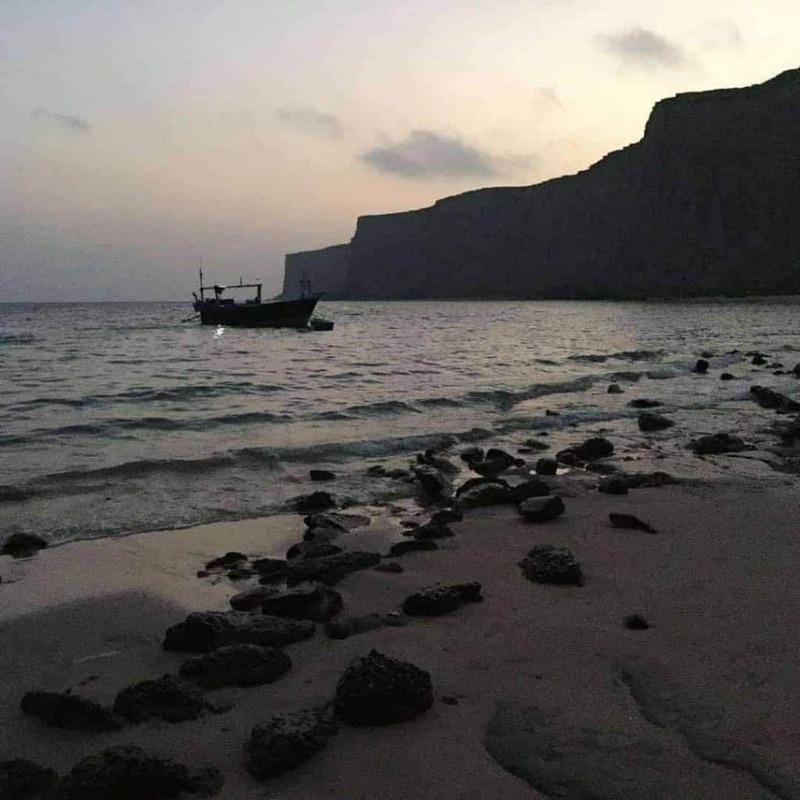 I would personally feel that going back to mainland at just before sunset would be the best idea – do keep this in mind when you plan a trip there. We were finally back to mainland after exactly 3 hours and 20 minutes,same as before – the timing was funnily accurate, we had estimated the ride back to mainland would be faster, but it took the same amount of time as before. Reaching back to the pier the first thing everyone did was to find a nearby public bathroom to change and freshen up before the long 8 hour drive back home – there was many fruit and snack vendors nearby and it would be wise to pick up something to eat from them before heading back- you won’t find any suitable pit stops on the way back, especially if you are short on time to return to Karachi. Leaving Pasnsi at around 1:30/2 pm we caught the sunset while passing near the beautiful Hingol mountains – be alert and keep your camera ready;I managed to take only a just a few photos because I was sitting on the “wrong” side of the bus everytime there would be a good view and by the time I would get my phone ready to take a shot we would have passed it by! Make sure that you don’t make the same mistake and are camera ready throughout the drive.